Fibroids are the most common tumor of the uterus which is not cancerous in 99% of cases. Almost 40-50% of females aged 40 and above is found to have fibroid inside without any symptoms. When the size of fibroids increases, most of these women start getting symptoms. Symptoms include the heavy bleeding during periods, prolonged menses, irregular periods, infertility, recurrent abortions, frequent urination, heaviness in lower abdomen etc. 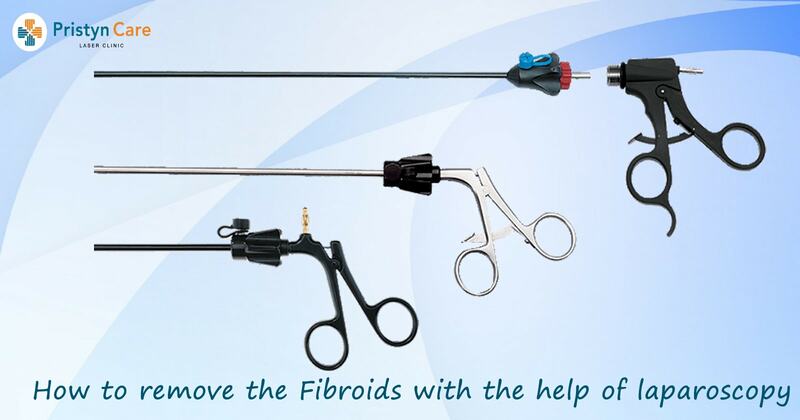 Laparoscopic fibroid removal is a minimally invasive method to get rid of uterine fibroids. The procedure may help to relieve uterine fibroid symptoms like abnormally heavy menstrual bleeding, pain in the pelvic region, and pressure on the bladder or bowel. Laparoscopic fibroid removal is done by using small, specialized surgical instruments inserted by one or more small incisions in the abdomen instead of traditional open surgery. This technique helps patients with faster recovery time, less pain, fewer chances of scarring, fewer complications, and quick return to normal activities. A minimally invasive method in which the fibroids are eliminated but the uterus remains intact, making an option for women who want to retain their uterus for future childbearing or who are young. This technique is often used for removing fibroids on the outer surface of the uterus. A minimally invasive technique for patients who do not want to retain their uterus or who are above 40yrs of age with complete family, laparoscopic removal of the uterus is done so that patient gets total cure with no recurrence. Laparoscopic ligation of uterine artery is a method in which blood vessels feeding to fibroids are blocked. This technique helps in a decrease of recurrence of the fibroid. And chances of future pregnancy are not compromised as uterus gets its normal blood supply from other vessels. Laparoscopy has proven to be a very good option for unmarried girls due to its excellent aesthetic effects with no visible scars.